2,000 hectares of forest situated between Teesdale and Weardale managed by the Forestry Commission. 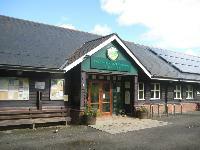 Numerous walks (short and long), picnic places, orienteering course, and horse trails. Kids can come and clamber around the recently completed Viking Wildplay Trail and explore muddy tracks and shady glades. New for 2017 is the Gruffalo Spotters Trail and Gruffalo Orienteering. On site cycle hire, café, toilets and information point. Disabled access : All buildings are easy access for disabled. Parking and drop off areas provided. Easy access to trails. Opening Times : The forest and information point is open every day. Hamsterley café is open daily from February half-term through to end of October (weekends outside this time). Further details and cycle hire opening times can be found on the Forestry Commission website. Last Admission : Last admissions: barriers closed at 5pm october-March and 8pm April-September. Admission Prices : Pay for parking, prices for 2017 (from 1 April): Car £6 per day, mini bus £12 per day and coach £18 per day. Discovery Pass can be purchased online or onsite which gives free unlimited parking for 12 months (£45 from 1 April).